Spanish cuisine is very rich in traditional dishes made with a multitude of quality ingredients. Olive oil, legumes like the Judión de La Granja, crops and vegetables like the Cebolla Fuentes de Ebro… Many products with and without denomination of origin that make Spanish cuisine one of the most appreciated in the world. While some try these new recipes with enthusiasm, others think that traditional dishes should not be modified. All these ingredients make up traditional dishes of our cuisine that give rise to recipes as appetizing as cocido madrileño, migas, paella… A myriad of delicacies that show the great variety of cuisine in Spain. However, the years pass and the kitchen is modernized with avant-garde creations that try to invent new textures. Many of these creations are based on lifelong recipes. Reinventing traditional dishes that, later, will have nothing to do with what they were originally. Some try these new recipes with enthusiasm, appreciating the new flavors. Others think that traditional dishes should remain just that, traditional. However, what is clear is that the kitchen is advancing by leaps and bounds. Perhaps the clearest example is that of the deconstructed tortilla, which has been associated with the popular Spanish chef Ferrán Adriá. He clarified that it was not he who created it, even though he is a faithful follower of deconstruction. According to him, deconstruction transforms the texture of the raw material, as well as its temperature and shape. The ingredients are kept but the flavor increases. In this way, the potato tortilla, a traditional and original recipe, has been turned into a deconstructed version that is totally different from how we knew it. Thus, the potato is transformed into a foam and the onion is caramelized. The croquette, whether of ham or stew, is another of the traditional dishes that has been reinvented. This is one of the classics we remember from our grandmothers and mothers. Who hasn’t stolen a freshly fried croquette because they could not wait to stick it in their mouth and instead ended up burning their tongue?! However, we now have a bechamel sauce of black pudding from Burgos that even includes Cabrales cheese. Another of those amazing gastronomic inventions is the combination of these two traditional dishes. Thus was born the Croquertilla. 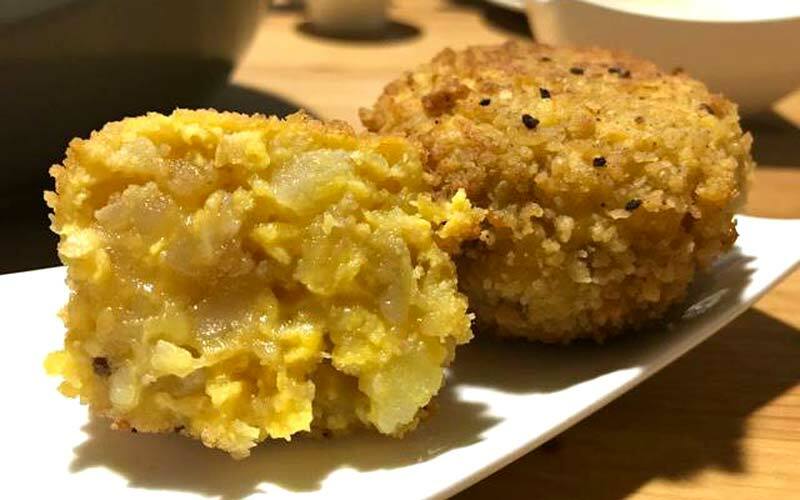 A fusion of the croquette and potato tortillas that has revolutionized the world of tapas. Another traditional dish that has been influenced by modernization is gazpacho. The traditional recipe stands out for its unmistakable flavor, with ingredients such as tomato and green pepper. 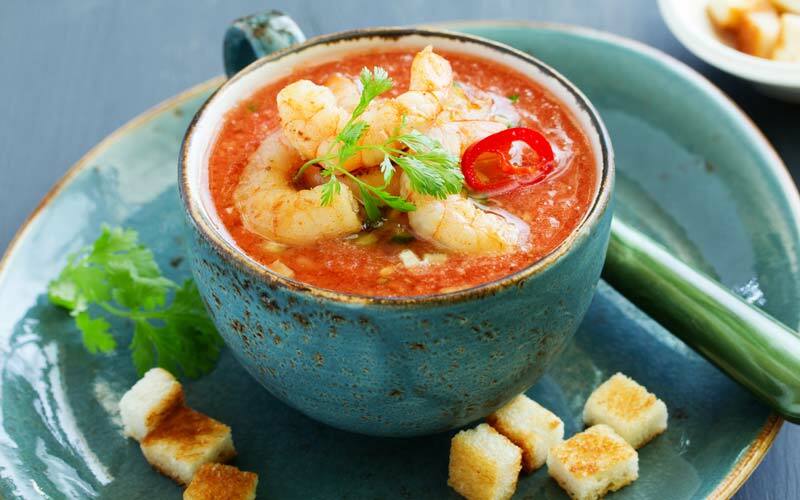 In the summer months, the most restless minds try different versions of this classic, creating recipes such as monkfish and shrimp gazpacho. Meatballs are another typical recipe with which we end up dipping bread in the sauce until it is clean. We can now find them made with hake or zucchini. Confectionery has also been reinvented, including the typical sweets of the festivities such as the Roscón de Reyes (King Cake). The classic is filled with cream and truffle will always provoke a sigh of pleasure, but some creations take it to the next level. The King Cake stuffed with Nutella or Jijona nougat are just some of the best representative examples. Now all we have to know is whether the figurine and the bean have been replaced by a pea and a Playmobil.